Its been about 2 years since I first started making sourdough bread. Since that day, I've made pretty much all the bread we eat, I think I may have bought 2 loaves in that time, if that. For the last 18 months or so, I've also been baking our bread in a wood oven which has added a new degree of challenge and planning! I'd love to say that I'm a great baker (I suppose I'm not too bad) but I've had many failures and flops in that time. Between heavy loaves that didn't rise to over proved loaves that crumble up in the middle when cut! There is something of an art to baking bread, you need to bake it at the RIGHT time, and usually the flops are when I try and bake it to suit me, eg the oven isn't hot enough yet and while its heating the bread over proves, or its late at night and the bread hasn't risen enough and I give up and bake as is for the sake of getting some sleep! One day I will be more organised though! What I love about sourdough is that you don't need to buy yeast. 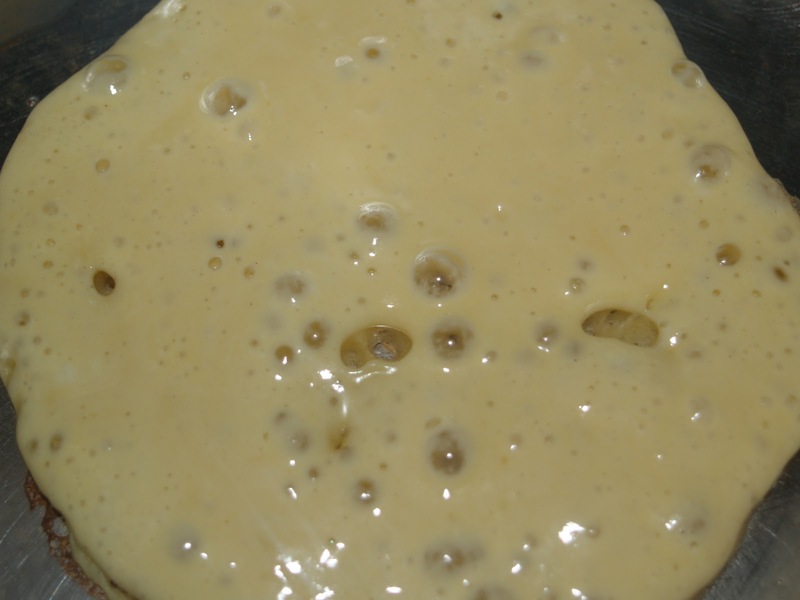 I have my own little community of yeasts and bacteria that I look after and use to make our bread. All you need is flour, water and salt, nothing more! 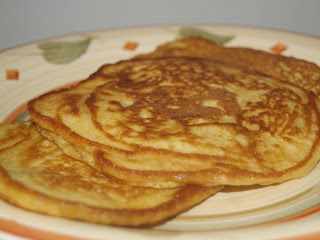 Lately I have been dabbling in making sourdough pancakes. I was inspired by this blog post. We have made them a couple of times, and they were are real hit, even with Brad, who was sceptical about makeing pancakes with sourdough (he makes lovely crepes which are dearly loved by our kids). I want to experiment more with making sourdough 'stuff'. I have heard of using the starter to make cakes and muffins. Something to try, come winter. Right now the plants are popping out of the ground, and its hard to stay indoors to bake!